Precision components based on Original Equipment Manufacturer (OEM) drawings, and a high level of process knowledge, are essential to consistent extruder operation. Extruder screw parts must be made using the original drawings to achieve the exact angles and clearances that ensure effective operation. Baker Perkins holds extensive stocks of commonly used parts, in the UK and USA. These key parts must be machined to precise sizes and tolerances in two dimensions. Parameters must remain constant when subject to elevated temperatures and pressure. Additionally, barrel liner manufacture must achieve an exact diameter along the full length of the barrel for screw placement; clearances between screw and barrel are critical. Fixing points must match those on the machine to avoid misalignment at assembly. These are designed specifically for Baker Perkins twin-screw extruder specifications. They must achieve two co-rotating outputs, and be capable of handling high torque. Older machines have David Brown gearboxes: Baker Perkins now owns the intellectual properties associated with these gear boxes, and is the sole manufacturer. 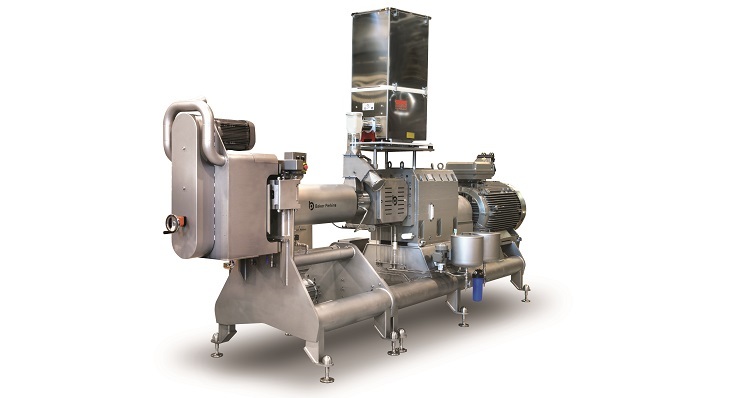 Newer extruders are fitted with PIV gearboxes; Baker Perkins has an exclusive arrangement for their supply.In order to achieve acceptable levels of performance and reliability it is necessary to use these gearboxes. Snack products expand as they leave the die, and achieving an exact relationship between the size and shape of the die outlet, and the size and shape of the product is vital to efficient operation. A minor error on the die can translate into a major problem with the product, leading to size and weight issues which create drying and coating problems. Design and manufacture involve specialist techniques, and a knowledge of materials which will withstand abrasion. Baker Perkins holds extensive stocks of screw parts for food extruders. Baker Perkins also offers advice on optimising extruder performance through choice of the most suitable materials, and by screw configuration design. Baker Perkins extruder screw parts are made to the original specification and drawings. They meet precise profile and clearance criteria, are inspected to the highest quality standards, and can be fitted first time without adjustment or modification. When parts have been improved since the extruder was built, an upgraded part is offered if appropriate. Screw parts are inevitably subject to wear: buying from the Original Equipment manufacturer ensures maximum performance and service life. Hundreds of the most common parts are held in the UK and USA for immediate delivery ex-stock. Screw configuration can be assessed for maximum effectiveness. Configurations can be changed to provide alternative end-product capability. The Baker Perkins Innovation Centre at Peterborough is available for product development trials and assessment. 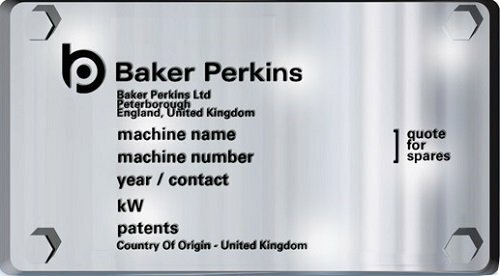 Your Baker Perkins name plates can be found on the main frame of the machine. It is usually located near to the main drive. Quoting all the above will assist Baker Perkins to supply quotes and parts quickly. Please use this link to check availability of recommended parts and request a quote for your equipment. Please also quote the number of the picture drawing on which it is shown. An email of the drawing with the part highlighted can be useful in identifying any parts required. A photograph of the required part can also be useful in identifying any parts required. 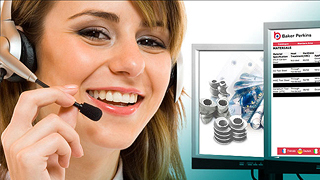 Please contact Baker Perkins’ customer support centre to discuss your requirements. Contact us to discuss all Customer Service and Aftermarket requirements for your Baker Perkins, APV Baker and Werner Lehara equipment. Parts, service, upgrades and rebuilds for your Baker Perkins machines for as long as they remain in production. 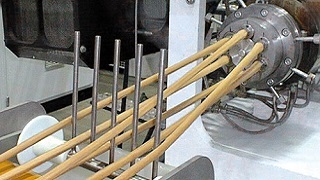 Baker Perkins offers complete systems for the production of snacks through extrusion and other forming methods.